RASL and Studium Witte de With, in collaboration with Piet Zwart Institute, presented Culture as Weapon, a Keynote Lecture by Nato Thompson. In his lecture, Nato Thompson discussed his book Culture as Weapon: The Art of Influence in Everyday Life. He addressed the growing role of affect in a variety of industries – from charity to counterinsurgency models in the military to contemporary real estate. Throughout the keynote, he explained how the landscape of strategically deployed human emotion has direct implications to the practice of artists and activism. Following the lecture we heard from our critical respondents, visual artist and curator Jeanne van Heeswijk & composer Merlijn Twaalfhoven. Nato Thompson is a writer, curator and activist. From 2007 until 2017, he worked at Creative Time in New York, as chief curator and in 2017 as artistic director. Currently, he holds the position of artistic director at Philadelphia Contemporary, a new multidisciplinary art institution in Philadelphia. He is the author of Experimental Geography (2008), Seeing Power: Art and Activism in the 21st Century (2015) and Culture as Weapon, in which he shows how culture, in the form of advertisement, public relations and marketing, is used by governments and multinationals to communicate, manipulate and sustain power. This event was organized by RASL Events, Studium Witte de With of Witte de With Center for Contemporary Art, in collaboration with Piet Zwart Institute as a kick off of the new academic year. 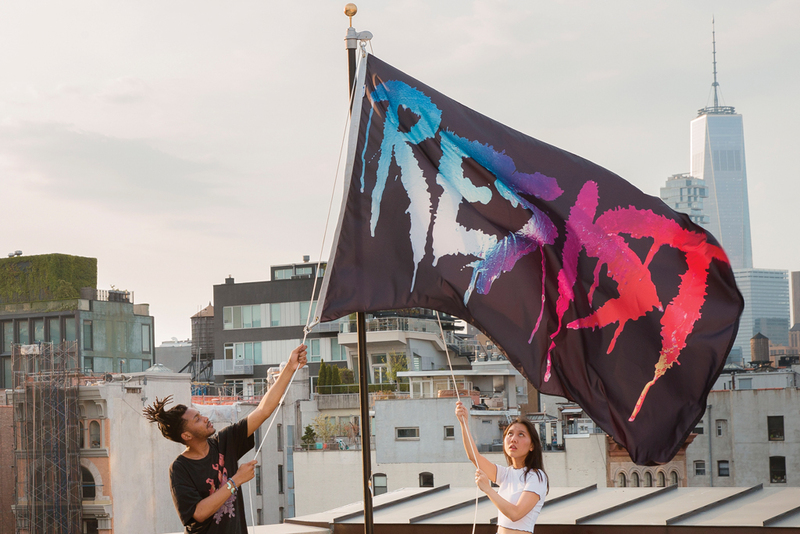 Image Credit: Marilyn Minter, RESIST FLAG, 2017 on display at the Creative Time headquarters.